Trek all the way to the store and hand over your hard-earned cash to quench your thirst. Decipher ambiguous food labels on bottled beverages. 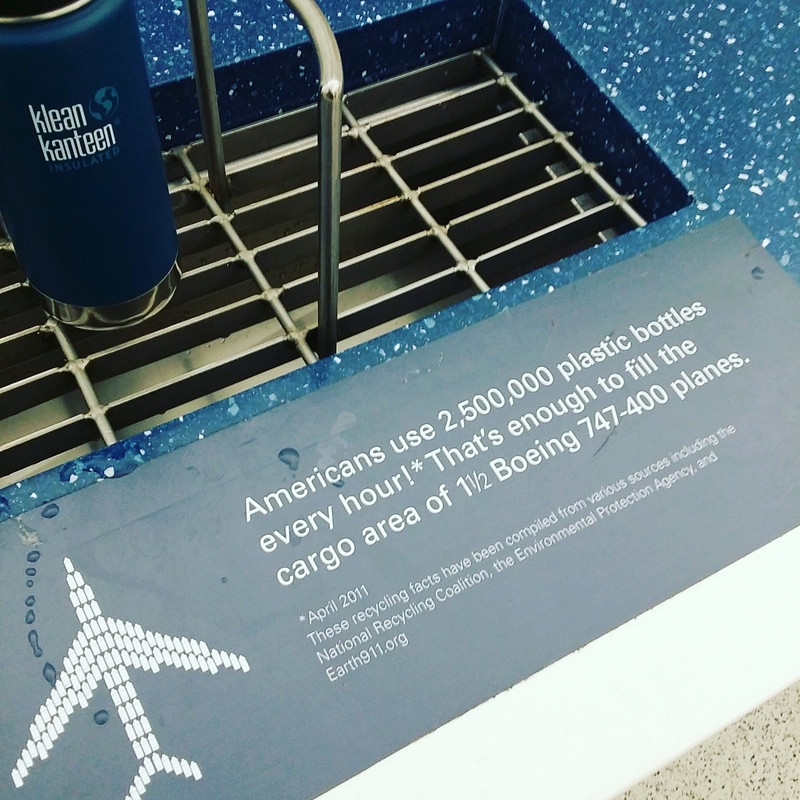 Rinse your containers out and drag them to the recycling bin (or to the store if you’ve bought a drink in a bottle with a return deposit). Maybe even better, you don’t support Coke and Pepsi or help fund their opposition to soda taxes (which they lost here in California—take that Big Soda!). Just turn on the tap, fill a glass and drink. I bring my Klean Kanteen with me everywhere and use it for water (and for tea…I drink black tea almost every day…I have tried quitting…it is hopeless…). I think we all know that a calorie’s worth of lentils requires way fewer resources to produce than does a calorie’s worth of beef. According to the FAO (Food and Agriculture Organization of the United Nations), emissions from livestock account for 14.5 percent of global greenhouse gas emissions. And beef and dairy cattle account for 65 percent of that. If you read my blog at all, you may have noticed that I am obsessed with fermentation and the gut (the gut loves fermented food). Well, your gut gives you another reason to eat more vegetables. In their fantastic book The Good Gut, Stanford microbiologists Justin and Erica Sonnenburg explain that certain microbes in your gut convert L-carnitine—found in red meat—into trimethylamine (TMI), which when oxidized becomes trimethylamine-N-oxide (TMAO). “High levels of TMAO increase the risk of strokes, heart attacks, and other cardiac events.” People who eat a plant-based diet harbor fewer of these TMAO-producing microbes. Those appliances you never use take up valuable real estate on your kitchen counter and cupboards. Give them to a friend who will actually use them or donate them to a thrift shop. Do you really need a mango slicer, bagel guillotine or Keurig? How about a microwave? Its usefulness-to-size ratio is about 1:20 for most people. Clear the clutter, you’ll free up space and make your kitchen more efficient and more pleasant to work in. 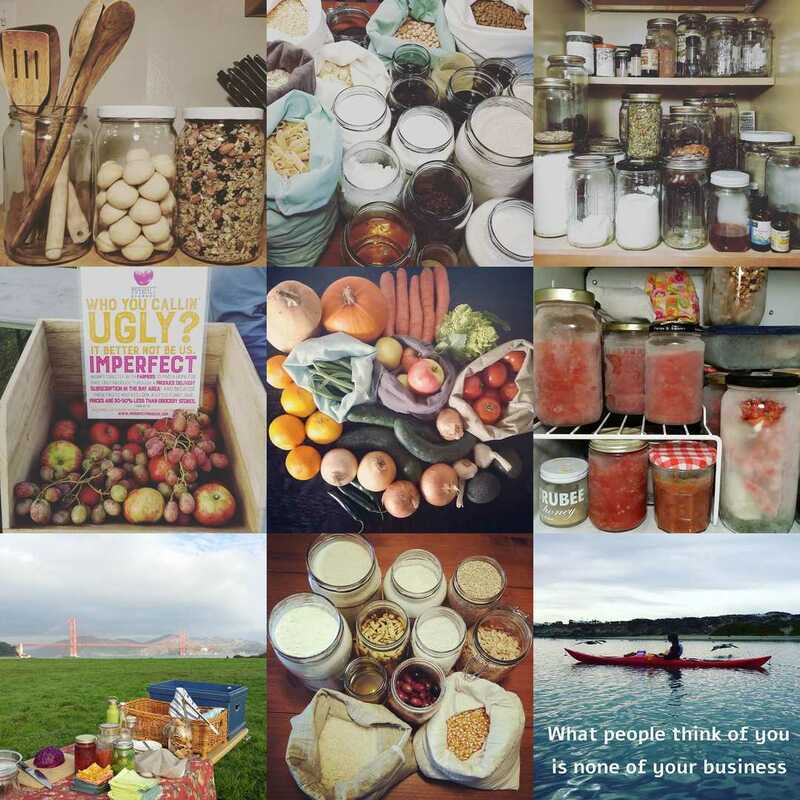 And, judging from my best Instagram pics of 2016, people like how food looks in jars. WARNING: If you go plastic-free and zero-waste, you may develop a jar obsession. 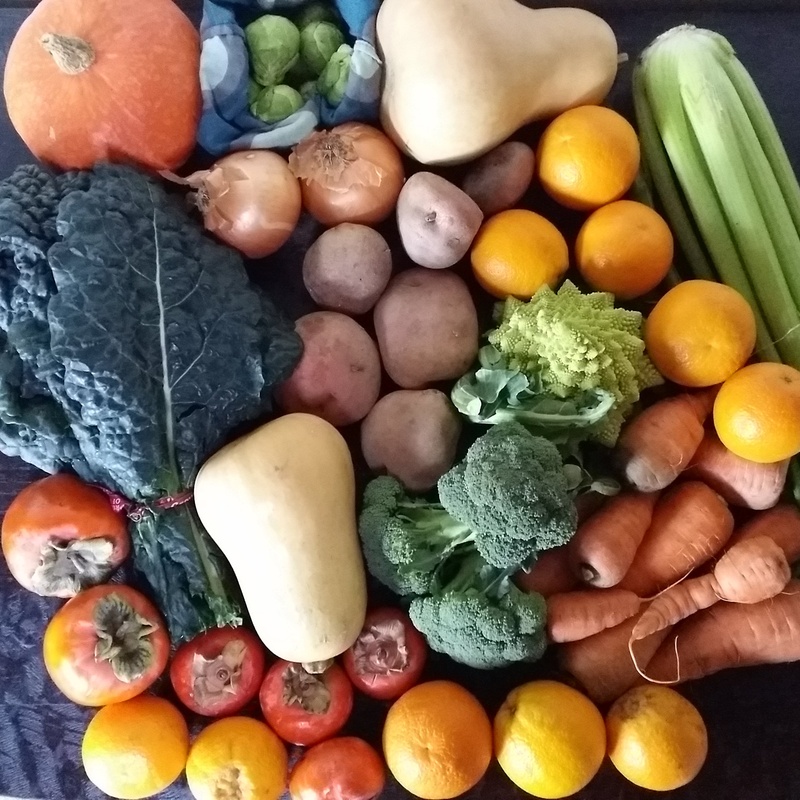 Even a little bit of meal planning will reduce food waste, save money, save time, reduce stress, improve your diet and probably improve the taste of your food (because you’ll plan for tasty stuff rather than just grabbing the first thing you find in the cupboard). I start meal planning by going through my fridge and pantry and making meals out of what I find there first. Here’s a link to a downloadable and fillable meal planner I created. It wouldn’t be a list of new year’s resolution without something about diet in it. Cut processed food and you can skip the other five resolutions. You’ll eat better, cut down on plastic packaging and be healthier. Can you really get a mango slicer? 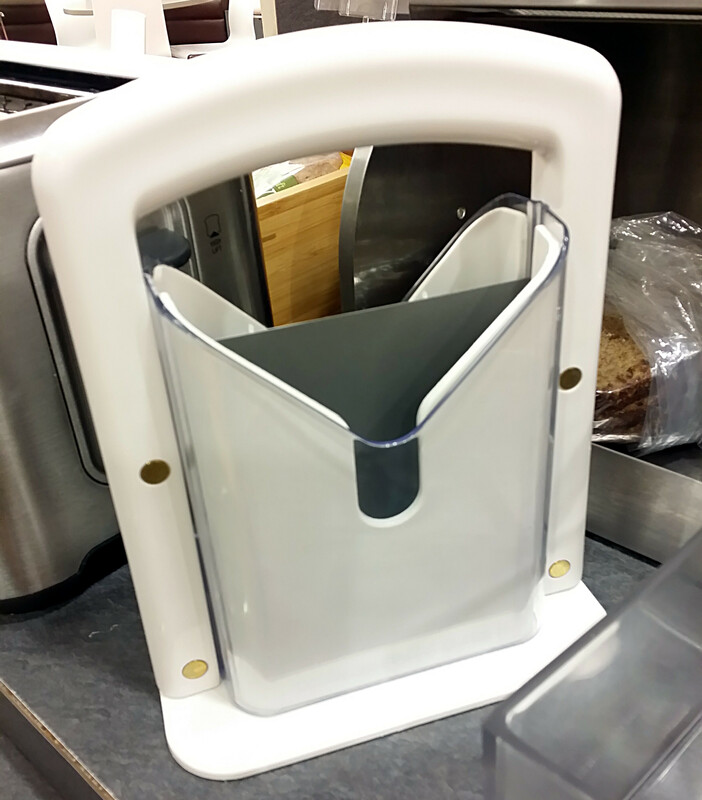 I obviously need to get out more, maybe I could use a bagel guillotine too. Don’t think so! My older daughter used to have a mango slicer and a couple of days before I wrote this post, my younger daughter spied a bagel slicer at the thrift shop. She asked for it (I think just to see my reaction) but I said no way (I’m mean…). Hey there – I love love love this post. I read your blog constantly and I linked this post in my own blog post at http://www.savingsarahgrace.wordpress.com on liberating and ecofriendly resolutions for the new year. Thank you so much for all your inspiration! Thanks so much for linking to the post and for reading my blog 🙂 Happy new year! Those bagel slicers are complete crap too. We used to have them at work and they would just mangle the bagel! They look like they would break easily whereas I’m pretty sure I will pass down my knives to my kids (including a bread knife that cuts bagels really well! ).